I am about a quarter of the age and weight of many people that require intensive back surgery. But here I am. It started in 2008 when I had a bad fall down a set of stairs (it was actually a set of stairs, not a “set of stairs.”) I broke my tail bone and apparently set everything else in motion as well. Nine years, six epidural shots, five physical therapy sessions, three times a week pilates and swimming sessions, one outpatient surgery, and countless cortisone shots and Ibuprofen medications, it was finally time for the last resort. 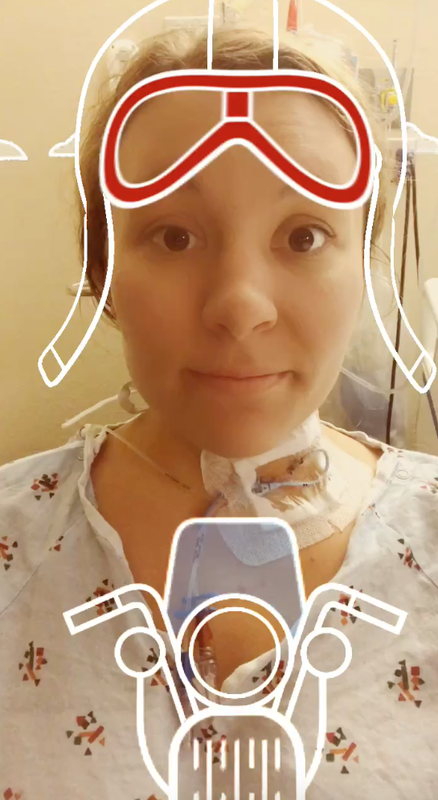 I had a fusion at L5-S1, spent five days in the hospital, and five weeks at home. I am coming up on week six, and I’m finally back at work. Obviously I needed the surgery, but I do not think I realized quite how much I needed the downtime. When you are forced to be alone with your thoughts, a lot comes up (especially on pain medication)! Here’s what I learned. Health should be your #1 priority, no excuses. For those of you that have battled with health complications, you know what I mean. So how is it that we regularly put our health on hold? We grab a quick bite because we are in a time crunch at work, usually grabbing something that satisfies our stress craving rather than filling us with the vitamins we need. We stay up late checking email, or worrying about tomorrow's meetings. We catch the red-eye so that we can be there first, earlier, and more prepared than everyone else. We chug coffee like it's going out of style. We swerve in traffic, cursing red lights and trying to outsmart the yellow ones. And for what? Did all of those cut corners actually get us to our goals and desires quicker than if we would have relaxed? Are we better in the end, or are we more tired, crabby, burnt out, and sick than if we would have been more deliberate, more mindful, and more thankful along the way? If there is one thing being forced to sit still for five weeks taught me, it's that I will never again compromise my health and wellness for the sake of success. I will instead be successful because I have cared for myself, inside and out, the same way I care for my work. Related: have you ever read an article discussing the "millennial problem" of travel v. saving money? Choose travel. I'll bet you can figure out how to make more money. You cannot bet on the longevity of your health. People love you. Let them. This was a tough one. I grew up as the oldest of four kids, So I am used to taking care of and being responsible for others. So hopefully you can imagine how humbling it was to ask for help, rely on others, and allow myself to be vulnerable. However, amazing things happened when I finally arrived at this point of surrender. My relationships strengthened. I felt more at ease. I loved watching friends and family receive love and gratitude as they gave their time and energy to me. I was often overwhelmed by the people in my life that would go out of their way to help me, even when I did not ask. Allowing the love to come in is something I hope I remember long into the future. People care about you. They love you. We are all longing for connection. But we must be open to receiving it when it comes. This one took nearly the full five-week hiatus to figure out. We all have that acquaintance or co-worker (or a handful in my case) that rattles you from the inside out. The one that you practice telling off in the shower, or the one you avoid in the break room. I never thought of this activity to be dangerous, but I realized that I was only hurting myself. Staying mad and holding onto resentment will only continue the cycle of “feeling wronged.” You cannot allow yourself to become a victim. You cannot withhold forgiveness, even when you were right, or do not feel it is warranted. Bitterness will spread like a disease, and will frame your entire perspective on work, relationships, and life. Repeat after me: Let👏 it👏 go👏. Rest and "me time" is not selfish. For anyone who knows me, I've always been a busy-body. I'm someone who watches TV shows while also doing food prep, tidying up, doing laundry, playing with my dog, texting friends back, managing my business, etc. If I found myself on the couch for more than 20 minutes, I immediately felt guilty about all the things I could or should be doing. Don't get me wrong, I still believe productivity is a virtue. However, being intentional about rest, therapy, and self-discovery is not inefficient, or a waste of time. It should actually be the first step before any accomplishment. As one of my favorites Brene Brown said, you don’t need to “earn” rest or play. Is your body telling you it’s exhausted? Sit down, slow down. Plus, the combo of podcasts and coloring books can unlock a potential you have never known, people! Clothes set the tone, not the experience. If you were playing the game, "which one is unlike the other," I suppose this bullet point would be it. It sounds silly, perhaps vain, but I stress about my clothes. I have read so many blogs and articles about how you present yourself defines other's perceptions. I am nearly 30, and want to be taken seriously in the professional world. But I also want to look approachable. Not too girly, but not boring either. Also, comfort! It's a real predicament in my life — just ask my husband! Let me tell you about a few epiphanies I had in the fashion department: No one is worrying about your clothes, because they are worried about theirs. Additionally, maybe it's true your clothes are the first impression. But your attitude is the last — and last-ing — impression. Do you want to project worry and insecurity about what you look like, or do you want to project the confidence and ease that comes from someone who has their priorities straight? Side note: I’m going to re-read this blog the next time I'm ripping my closet apart at 7:51 a.m.
My road to recovery is not over yet, and will not be for some time. Earlier this year, five weeks of down time sounded like an eternity. Now I am just grateful for the time I have had to rest, both physically and mentally. This post will definitely keep my accountable for my thoughts and actions in the months to come. Everything they said was true! Clarity comes when things are finally quiet. ...A thousand years ago because human beings lived then in a world in which physical strength was the most important attribute for survival. The physically stronger person was more likely to lead, and men, in general, are physically stronger. Of course there are many exceptions. There are so many stereotypes around this word that I really haven't considered myself a part of "the feminist group" in the past. However, I have never broken down these concepts; I've never thought about it the way she describes. The term "feminist" seemed so abrasive and argumentative, and for those who know me, I do not fit into the category of either of those adjectives. Now I'm thinking this word fits me more than ever. Chimamanda has inspired me to look beyond my "I'm sorry's" and "it was just luck" excuses, and to begin owning what makes me unique -- one of those things is that I am female, and will not apologize for my femaleness. I wanted to take a moment to communicate my gratitude for the kind words, support, and encouragement I've received from so many people in regards to my side-hustle. I'm on month three of this little business, and it has been overwhelming to have so many people reach out, or even recommend me to their friends. Each of the projects I have been a part of this year have been so special, and I have been so proud to work on them! This photo was the headliner on one of the refugee crisis stories from The Guardian. Needless to say, I was shocked, but I actually wasn't surprised. Amy is not a person to stand idly by others do the work. No, she is someone who not only rolls up their sleeves, but also dives in head-first (pun intended). The story doesn't end there. Being the animal lover she is, Amy came across a the cat that one of the refugee families had lost. Along with her friend and humanitarian response professional Ashley Anderson, as well as photographer Doug Kuntz, Amy made sure the cat was safely reunited with his family. Grab the tissue box, folks, the video below is a tear-jerker. I hope you are as moved and humbled by this story as I was. All it takes is one person, friends! One person, one small act, one gesture of kindness. We are all given tools to live out a purpose, and that purpose starts where we are currently planted. Can you imagine growing up in an area of war, being displaced from your home, on the run, and thinking no one cares in the whole world. One person actually did care.Amy did what she thought was right, and that will not soon be forgotten by Kunkush the cat's family. If that doesn't motivate you, I don't know what will! 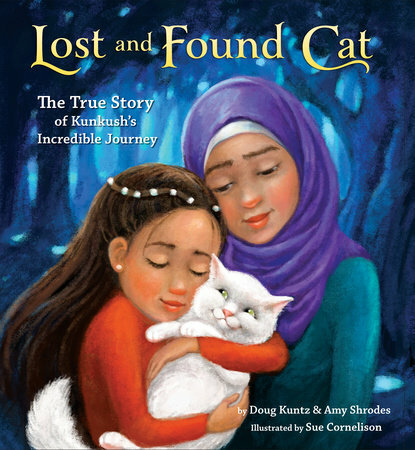 Now go out, be kind, and order a copy of Lost and Found Cat today! I just love TheEveryGirl.com. Just when I start letting myself have the mindset why am I the only one feeling like this, they publish an article that feels like it was written especially for me. I have about 2 out of 9 on the list checked off... so needless to say, I have room to improve. Hope you enjoy the dose of inspo this morning! Oh, Mondays. Yes, we can hear your collective groan from here. Let’s face it—very few people actually look forward to the arrival of Monday. It typically means you need to wave goodbye to the comfort of your couch and the fun of those social gatherings you enjoyed over the weekend, and instead say hello to hours spent at your desk dealing with an overstuffed inbox you neglected for the past two days. While the idea that there’s some sort of magical advice that will have you tossing back the covers and leaping into the office every Monday morning is probably farfetched, that doesn’t mean you absolutely need to dread it either. In fact, there are quite a few things you can do to tackle Monday with poise, strategy, and a few less exasperated sighs. Check out these nine tactics successful women implement, and you’ll no longer have to live for the weekend (well, mostly). 1. They prepare ahead of time. We’re all familiar with that Monday morning rush. After two days of sleeping in and living on your own schedule, you’re thrust back into a rigid workday where you have places to be—ideally on time, no less. Needless to say, the more stress you can save yourself on Monday morning, the better. So, reserve some time to set out your clothes, figure out your lunch, and pack your workbag before your Monday alarm rings. By taking just a little bit of time for those basic things, you’re sure to set yourself up for a successful (and hopefully less hectic!) week. 2. They switch their perspective. Think about this: What if instead of looking at Monday as the end of the weekend, you flipped your perspective and viewed it as the beginning of a brand new week? This is exactly the sort of mindset you should adapt. Thinking of Monday as something that signifies the close of something you really enjoyed will cause you to dread it—and resent it that much more. INSTEAD OF VIEWING MONDAY AS THE END OF THE WEEKEND, VIEW IT AS THE BEGINNING OF A BRAND NEW WEEK. But, can you challenge that thinking and look at Monday as the start of a new week filled with brand new opportunities and accomplishments? Well, suddenly it becomes a lot more exciting. 3. They don't check their phones. It can be tempting to scroll through all of your phone notifications before you even roll out of bed, but successful women know better than to start their days (not to mention their entire work week) off this way. Why? Well, put simply, it increases stress levels. In a study conducted by the University of British Columbia, researchers instructed 124 students and professionals to check their email frequently for an entire week. The next week, they were asked to disable all notifications and were only allowed to check email three times per day. As you might guess, during the second week participants reported decreased stress and increased positivity. So, resist the urge to reach for your phone first thing, and instead start with something else—like your running shoes or the coffee maker. You already know that a healthy, balanced meal is the best way to start your day. But, that probably doesn't stop you from grabbing only a banana, granola bar, or maybe even just a quick cup of coffee while you run out the door. But, if you really want to start your week off right, it's important that you leave time for a satisfying breakfast—even if it's just a few eggs, some yogurt with fruit, or a bagel with a little bit of cream cheese. Plenty of research has shown that kick-starting your day with a balanced meal will not only stop that embarrassing mid-morning stomach growling, but also improve your concentration and focus. 5. They give themselves time to adjust. Even if you absolutely love your job, there’s no denying that Monday morning can be a brutal transition from the free and easy lifestyle you enjoyed over the weekend. But, guess what? That’s normal—pretty much everybody feels that way. And, those successful women who seem to have it all together every time Monday rolls around recognizes this, and then give themselves the necessary time to adjust and ease back into their normal work routines. Instead of diving right in as soon as they sit down at their desks, they start with something smaller—like cleaning through their inboxes or reading a few relevant industry articles. It takes a little bit of time to get back into the swing of things; it's understandable, so show yourself a little forgiveness. 6. They set their goals. Monday brings with it a whole new onslaught of messages, meetings, projects, and urgent requests. And, it becomes all too easy to get wrapped up in the minutiae of each day, spending all of your time putting out fires that crop up—and thus spend almost no time at all on bigger things you wanted to accomplish. The best way to prevent this frazzled (and ultimately unproductive) state? By using a portion of Monday to set overarching goals for the week. When you take the time to establish objectives at the beginning of the workweek, you give yourself a better chance of actually finishing larger projects that would otherwise get lost in the shuffle. And, ultimately, it makes you feel that much better about everything you accomplished when your week comes to a close. 7. They schedule meetings in the afternoon. While you might not feel like it (particularly on a Monday), science says that mornings are when we all feel the most creative and full of high energy. Successful women know better than to waste that peak time zoning out in yet another meeting. Instead, they save morning time for churning out work—which is especially important when returning to the office after the weekend. For the meetings you have control over, do your best to push them to the afternoon and keep your morning block free. You might be surprised at how much you're able to accomplish. 8. They don’t sweat the small stuff. No matter how much planning and preparation you do or how good your intentions, things happen. Perhaps you get some not-so-great feedback on a recent project or maybe you get a parking ticket and run late for a meeting. Yes, those things are unfortunate. But, don’t let them ruin your whole week. Take a deep breath, let them go, and move on. You’ll be in a much better position to make it through the rest of your Monday—as well as tackle the rest of your week. Not many of us look forward to Mondays. But, the beginning of the week doesn’t need to be quite so cringe-worthy. Implement these nine habits of successful women, and you’ll make Monday that much more tolerable. 9. They make time for work and play. We’ve said it before, and we’ll say it again: The hustle and bustle that Monday brings can be stressful. And, that’s exactly why it’s smart to leave a little bit of time for the things you enjoy—and not just work—in order to balance the scales a bit. Whether it’s a happy hour with close friends or an exercise class that helps you blow off steam, reserving a few hours for hobbies and passions will help you avoid viewing Monday as a wet blanket that repeatedly swoops in and consumes your life.